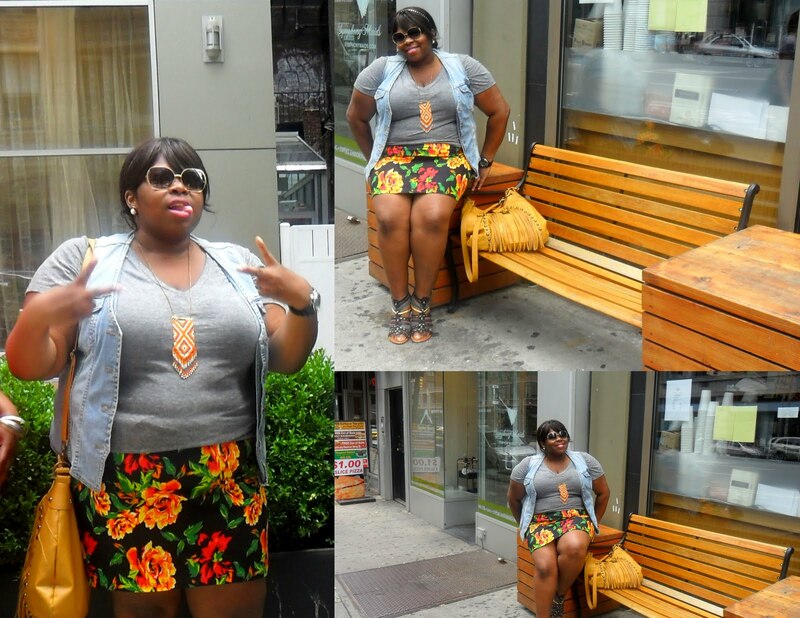 Just a collection of outfits I've worn and places I've been this past month (June). 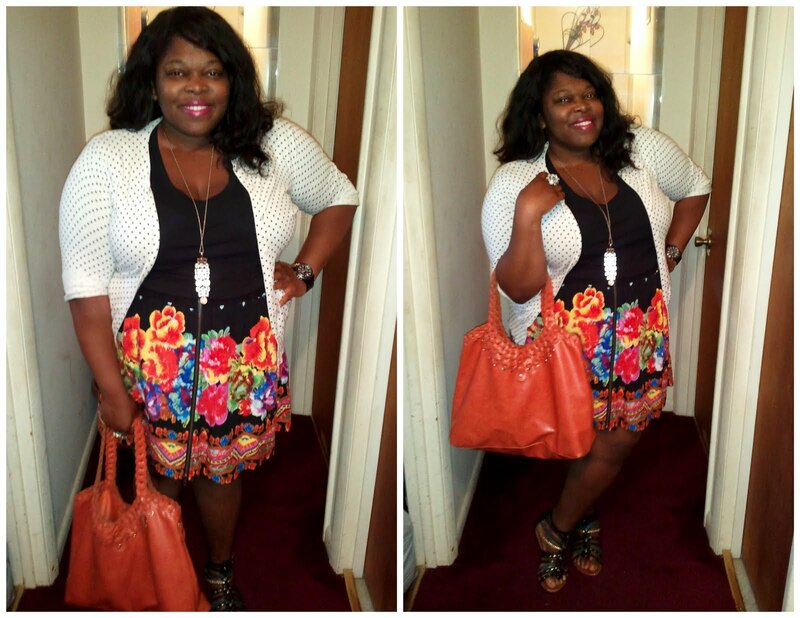 Clearly, I like to remix my clothes (see how I wore the cardigan here and the skirt here). And also, wear one brand from head to toe without even knowing. Seriously, it was only when I was typing the details of this outfit that it hit me. Clearly. 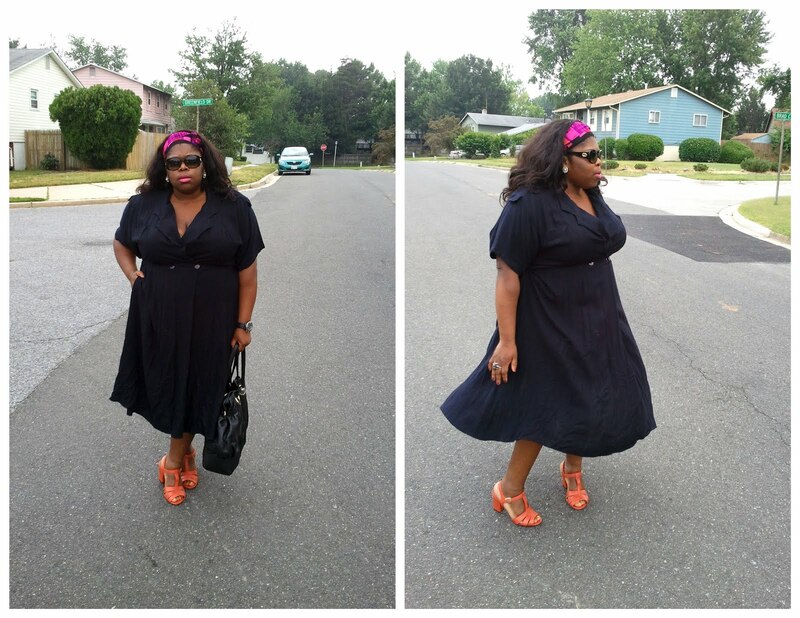 I wanted to add some splash of color to this simple black dress. I went to NYC for the weekend. Actually, one of the main reason was to attend the Full Figured Fashion Week finale show. By the time I went online to purchase the ticket, it was sold out. Besides that misstep, it was still a nice lil' vacation. This was across the street from the hotel I stayed in. Can we say 'thumbs up!'? It just so happened that my friend was throwing a birthday dinner at La Nacional. Great spot to hit up whenever you go to NYC. Afterwards, we went out for dancing. Always a nice activity to do to release stress, sweat out the calories and the drinks. My going home outfit. Casual with some burst of color. Just the way I like it. 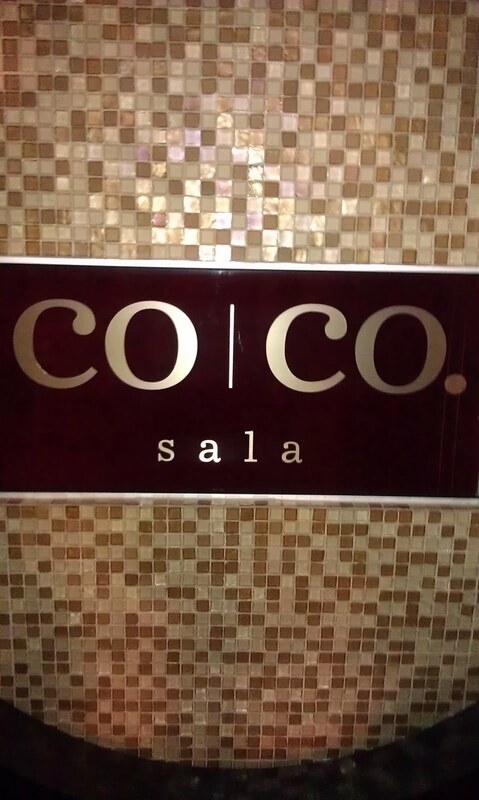 Finally went to Coco Sala in DC. I actually learned about it from Jennifer of Comme Coco. She raved about this fine eatery on her blog. I was curious. Turns out, it deserves all the hype it gets. It is a chocolate lounge and boutique. That's right folks, some items you order on the menu will have a taste of chocolate in it. Our waiter warned us that they serve small plates. So, if you are thinking of getting your stomach's worth, you gotta order two of the same meal. I just went with an appetizer (Bacon Mac & Cheese) and a plate (Blue Cheese Beef Slider Trio with Rosemary & Parmesan Fries). I also got this drink (duh) called Coco Cojito which is chocolate infused vodka, fresh mint and limes topped off with chocolate flakes. Very interesting, that's for sure. Later on that night, went to see "X-Men: First Class". Two thumbs way the eff up! Yes, it was THAT good. And I have developed this hard crush on James McAvoy. For my stateside folks, I hope everyone had a safe, grand 4th of July weekend. Thanks for stopping by. Wishing everyone and great week...while looking fashionable!